Designed for learners already working or wishing to become qualified to work in high risk confined spaces. 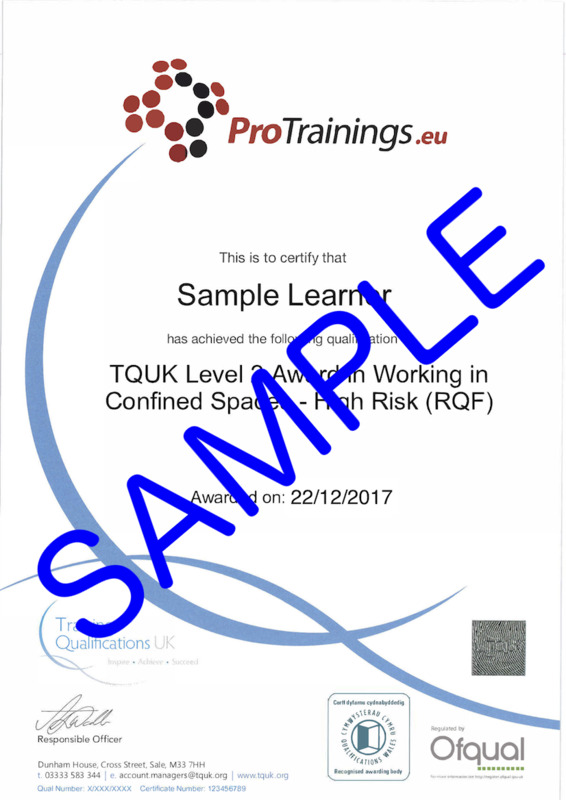 The general principles of working in confined spaces are covered in this qualification, as well as the specific requirements of working in a high risk or potentially dangerous confined space. This course comes with 44.0 hours of CPD, although the time to complete the course online may be less than this.